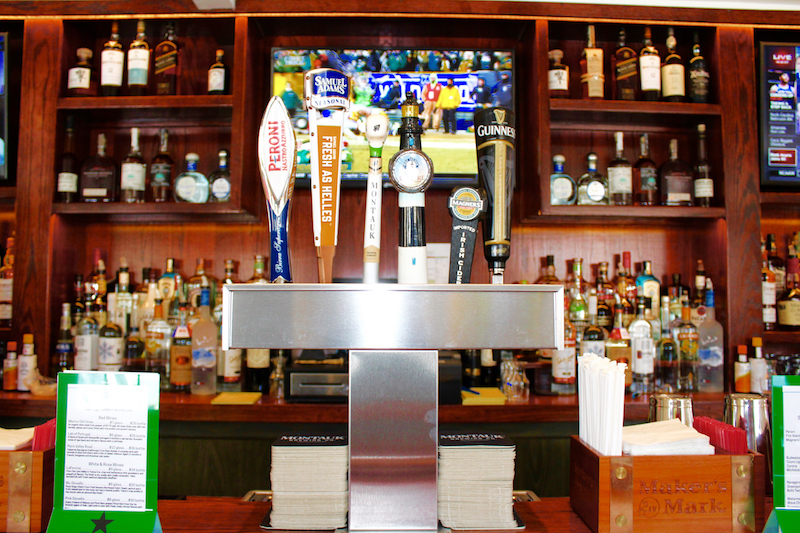 A $40 package gets you unlimited draft beer and wine, and a half-time buffet from 6 p.m. on. Giveaways will be handed out through the game and seating is limited. Make your reservations! Or order wings to-go. Boneless and regular, half and full trays are available. A full buffet, domestic drafts, bottles and house wines - all included for $65. Hard to beat when it comes to the Main Event! Arrive early to get a good seat. Call in advance to place catering or takeout orders. What’s better than a private showing with very delicious food? Ponder and let us know. We’ll say nothing. Sandbar is offering up their private dining room. Call for details. VIEWBAR is a great spot that’s flown under the radar for some time now. A beautiful bar, with drop dead gorgeous views, and the drinks are great. Catch the game here and snack on a complimentary chili, chips and salsa station. Select wine, beer, cocktails and bar menu items will be served at half-price. A special wing menu will also be available. This Hamptons tavern will be loading up on the giveaways for the big game. For the first 50 people who walk through the door on Super Bowl Sunday you already earn swag with a goody bag! The game will be shown on 5 big TVs and projected on a 10-foot screen. A complimentary buffet at half time and giveaways each quarter with the big prize of a flat screen TV for the final. During the game enjoy $5 pints of beer, $3 Miller High Life and $6 well cocktails. Why watch the game on one high-definition TV when you can watch it on eight! The Springs Tavern will be showing the game on TV’s through the restaurant AND there will be plenty of food and drink specials for you to enjoy. The best part? Guests will receive one raffle ticket for each drink OR food item purchased AND prizes will be raffled off at the end of each quarter.